Hitting things with other things since 1992! We are a real drum shop out of Wichita Kansas staffed by real drummers. We love to talk drums, cymbals, and hardware by phone or email. It is our hope that we can provide an overall positive shopping experience for all who are involved! 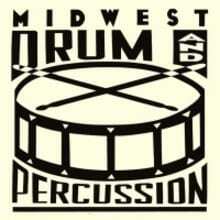 You can find us on Twitter and Instagram under the name "Midwest Drum", and Facebook under the name "Midwest Drum and Percussion" if you would like to keep up with us! Will ship to continental US. For international shipping, please message.